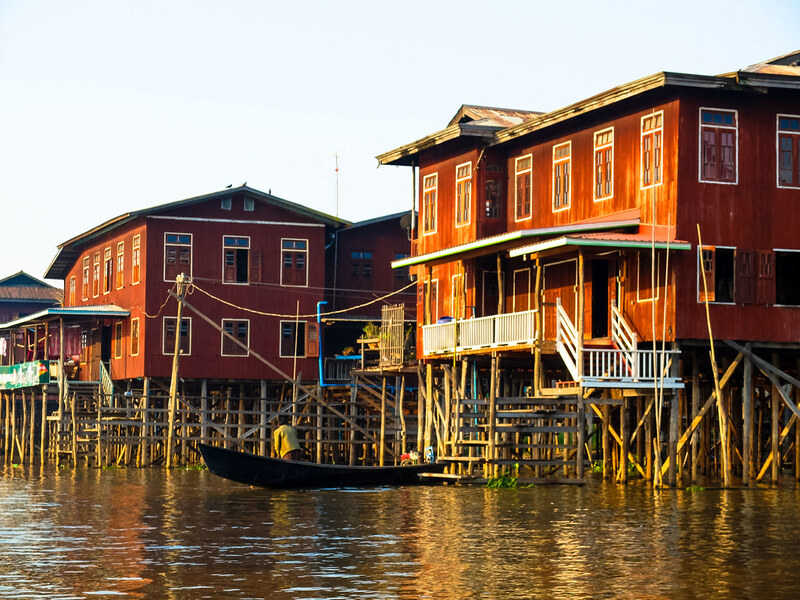 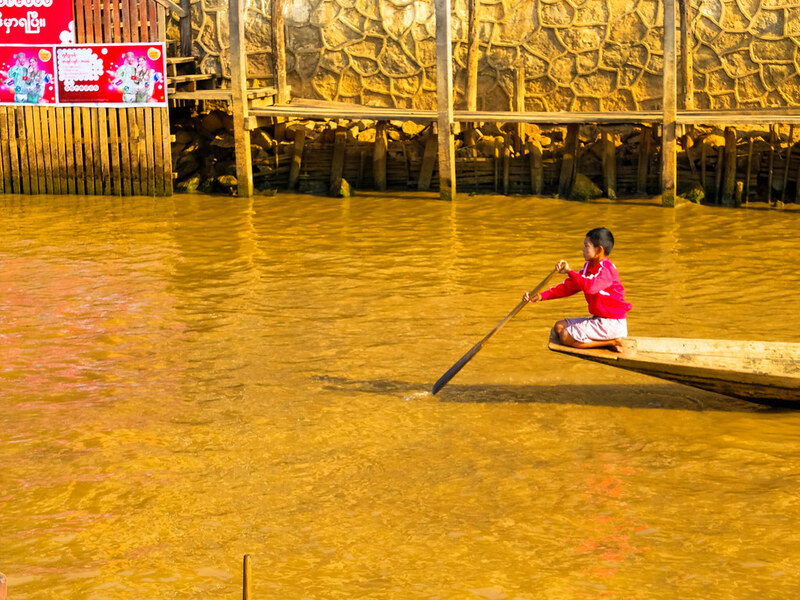 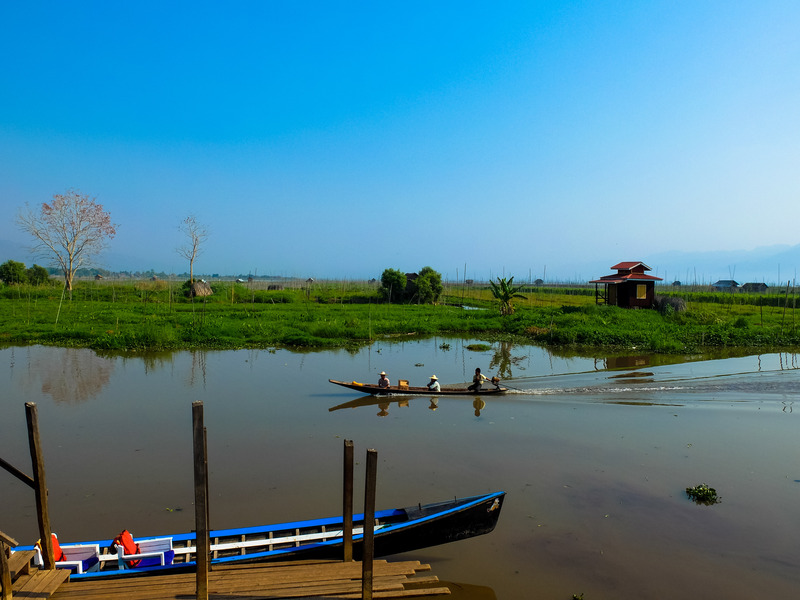 The usual boat trips from Nyaung Shwe to Inle Lake is not limited for sunset viewing or for watching the art of traditional fishing, it often includes visiting small villages connected to the lake via narrow canals, a visit to the monastery with jumping cats, a floating market and a floating garden. 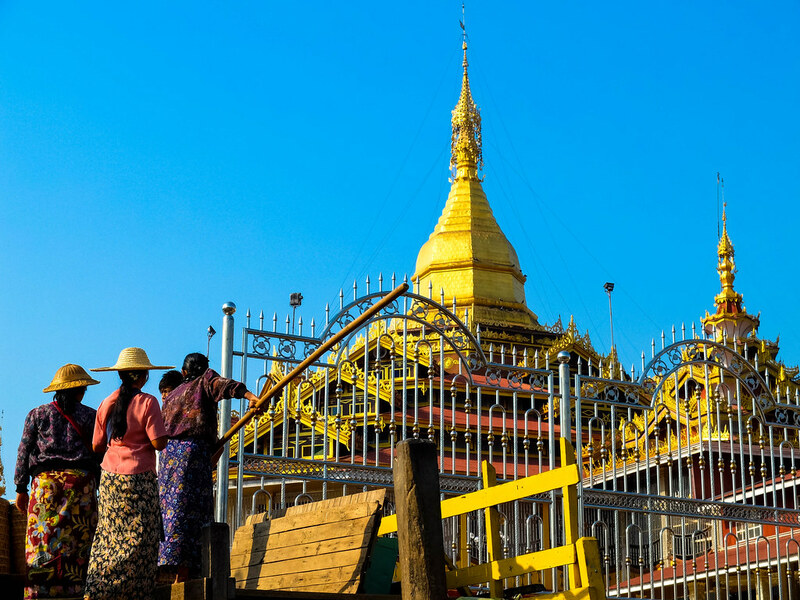 It is easy to arrange a trip once you are at the Nyaung Shwe jetty, often most boat guides has a set of itinerary for specific price and if you want to see more than their prepared list, it is just a matter of negotiation on the over-all price. 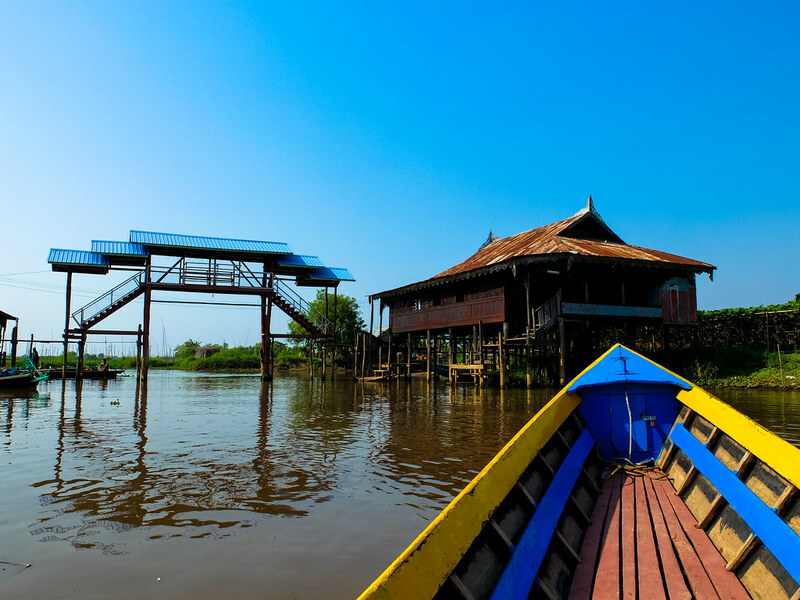 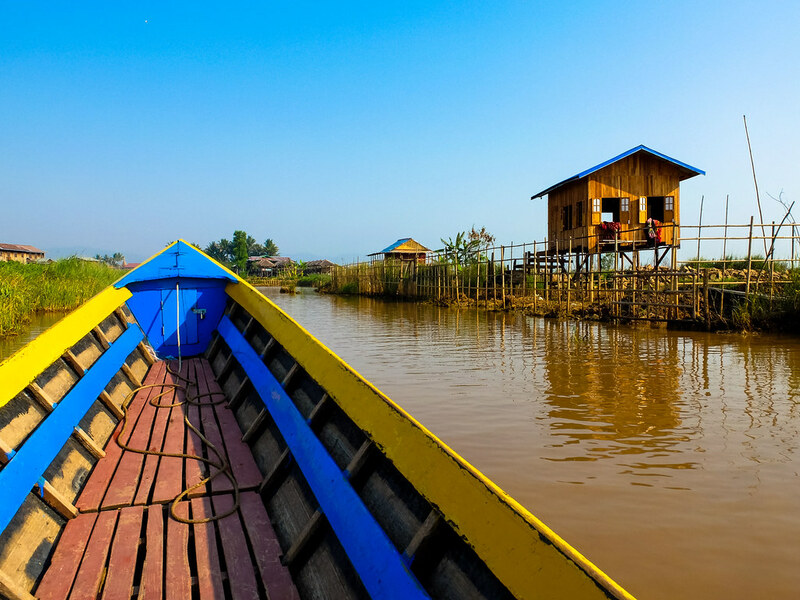 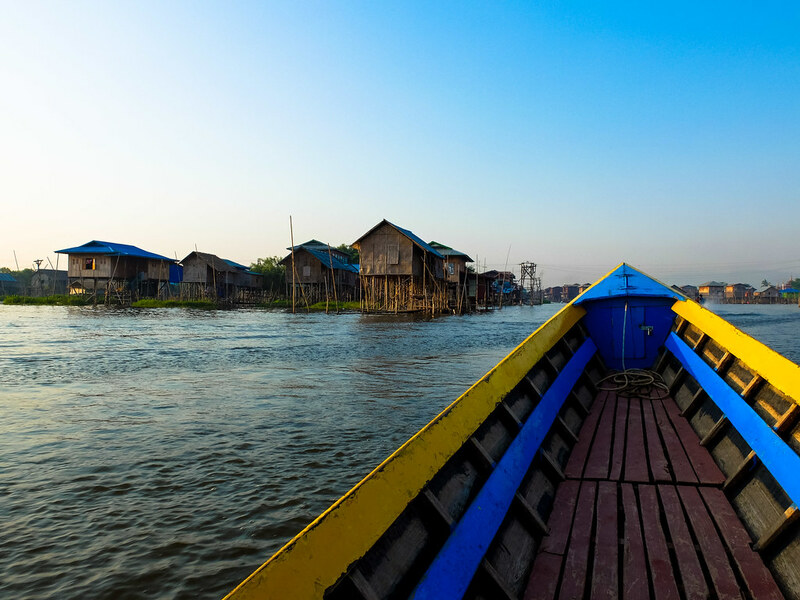 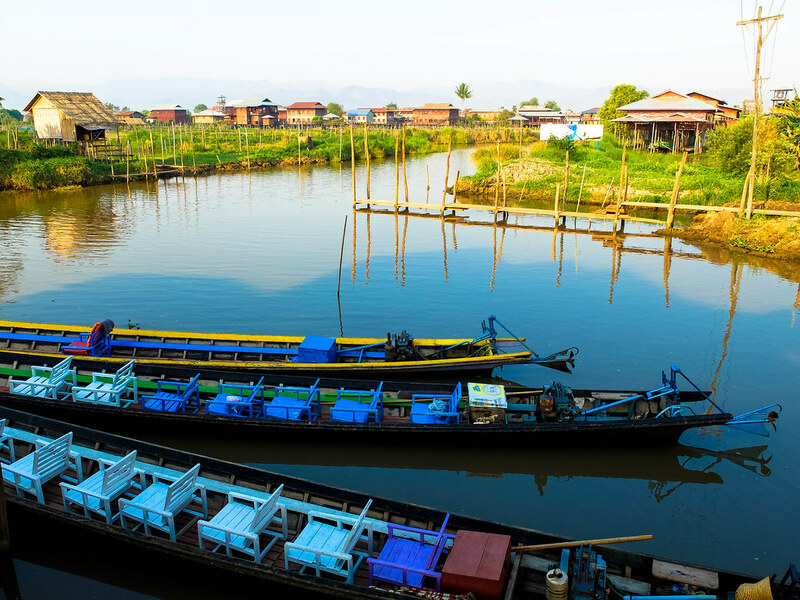 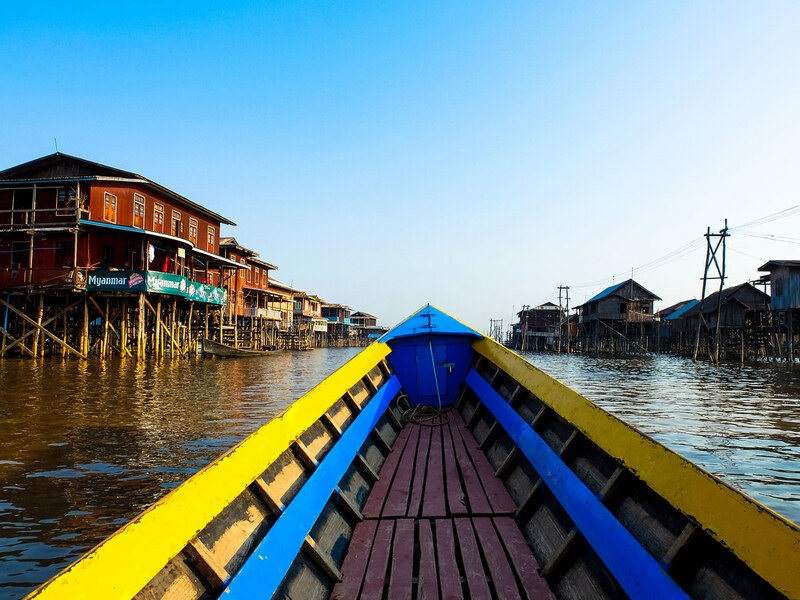 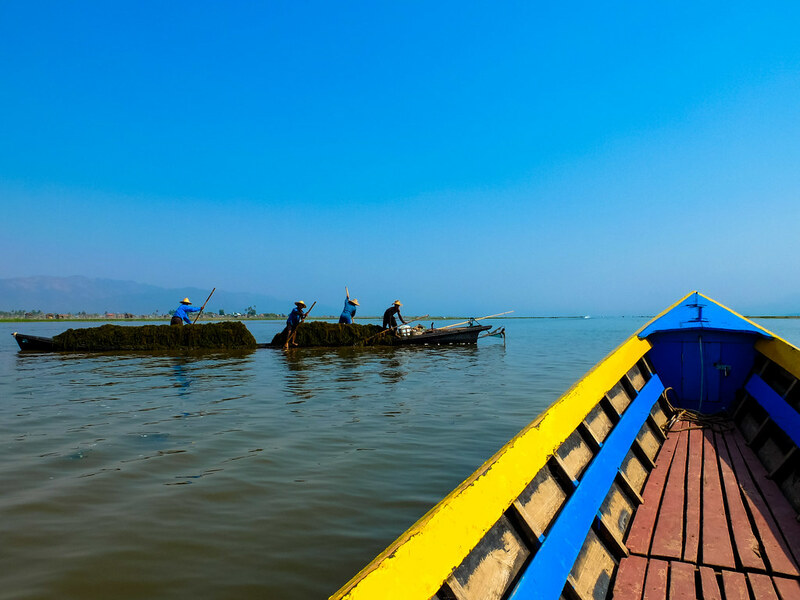 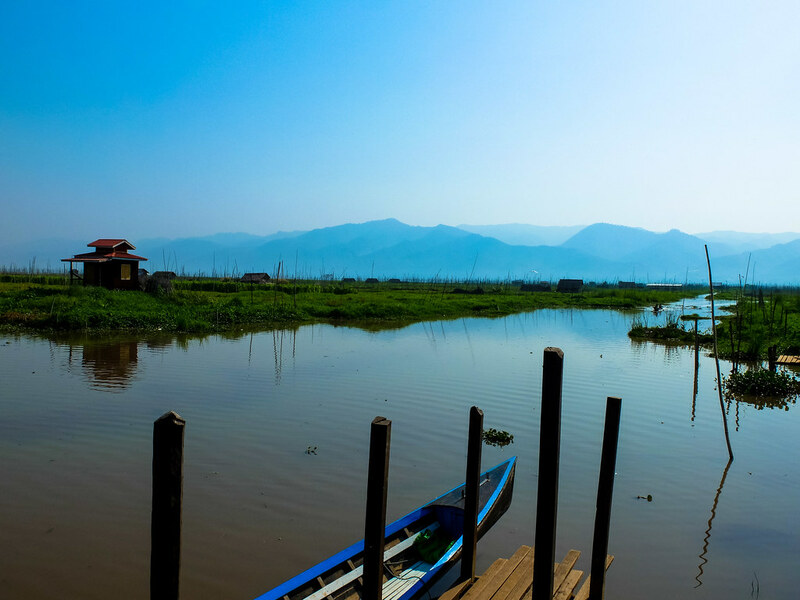 The boat trip is as tourist oriented as one should expect, but still the best way to see Inle Lake and the life that thrive around it, for this matter, timing your boat trip and starting early will make all the difference in one’s experience. 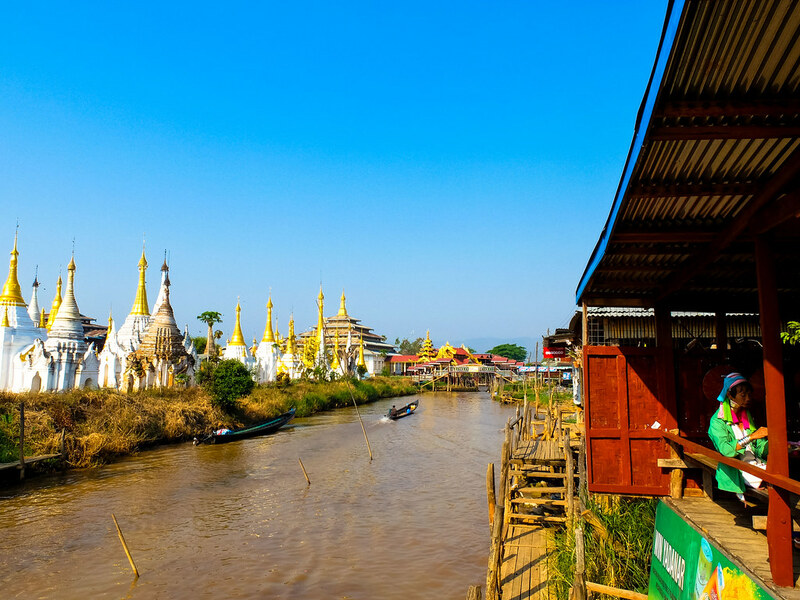 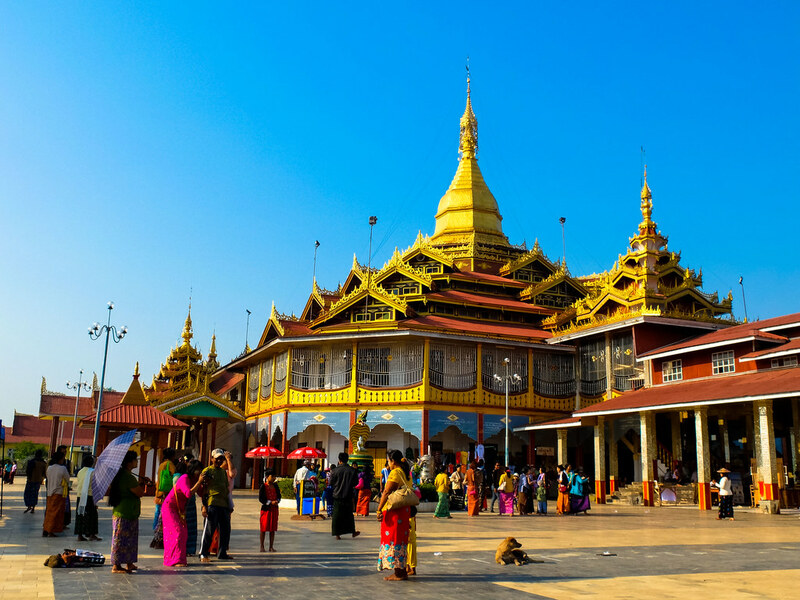 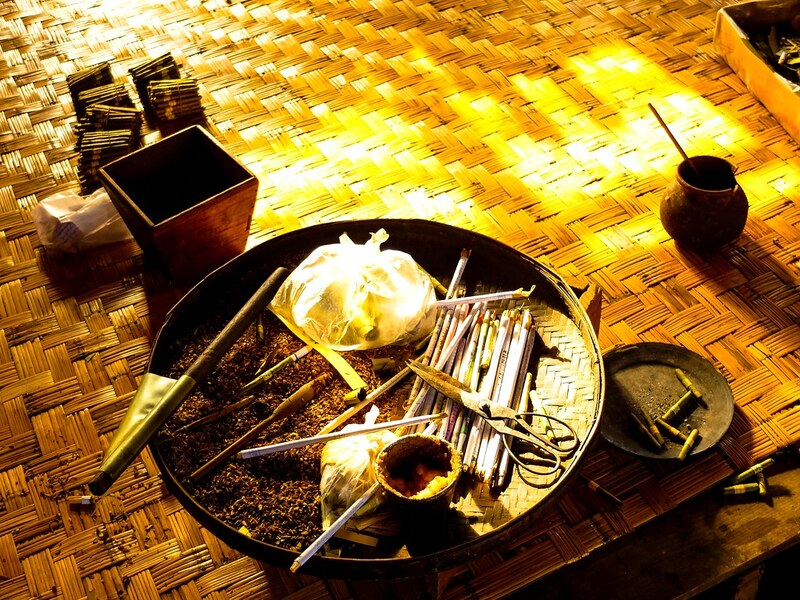 If you happen to arrange the trip by yourself, you always have the option of skipping certain places such as handicraft shops for Lotus Weaving or Cheroot making and spending more time in places you like most. 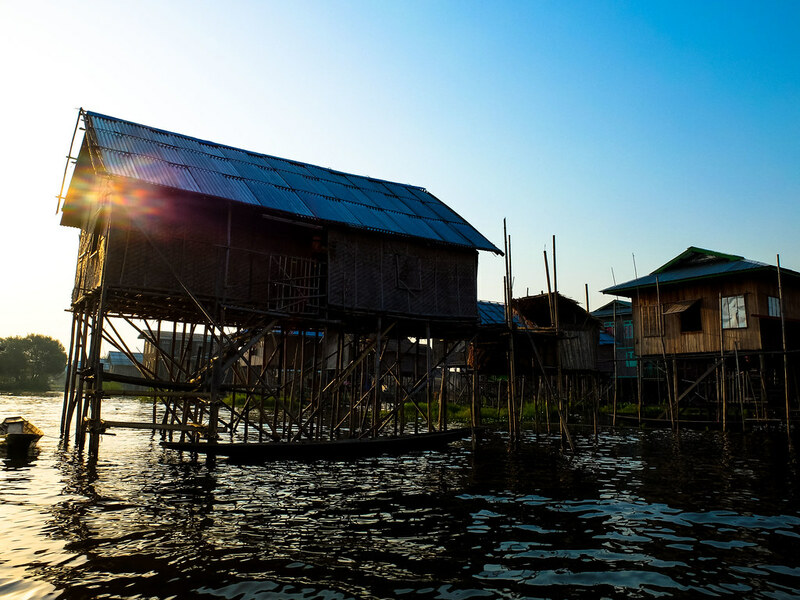 As I departed for my boat trip way earlier than most visitors that day, I arrived at the Ywama village with most houses remain closed and residents are just about to start their day. 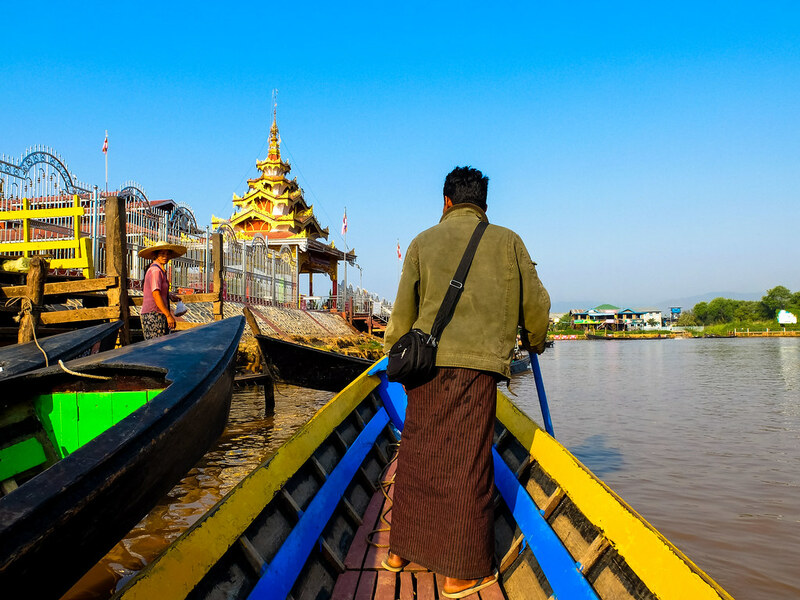 The narrow canals are often empty and the very few boats on the lake are residents possibly on their way to work, school or to Phaung Daw Oo Pagoda, for their daily prayers and offerings. 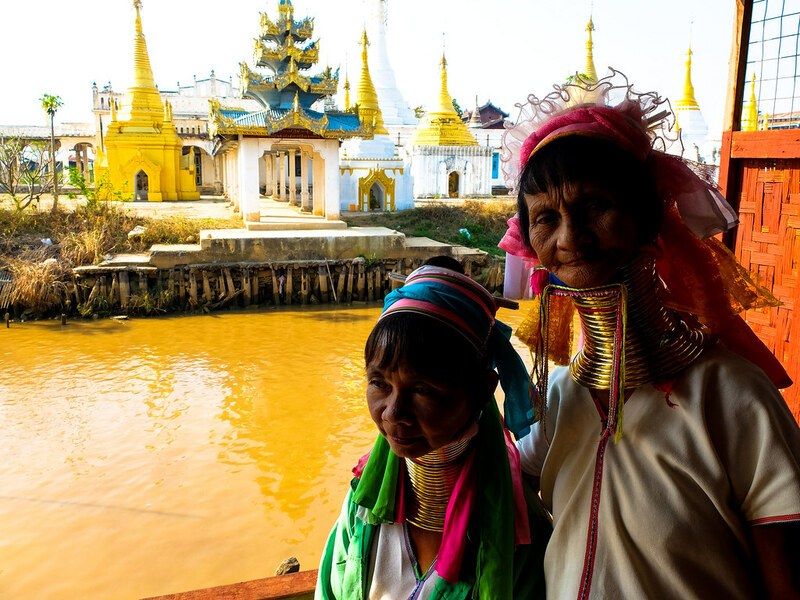 We passed by the Indein Pagoda and visit the Paduang women or the” Long Neck” women, so called for the brass rings they wear around their necks. 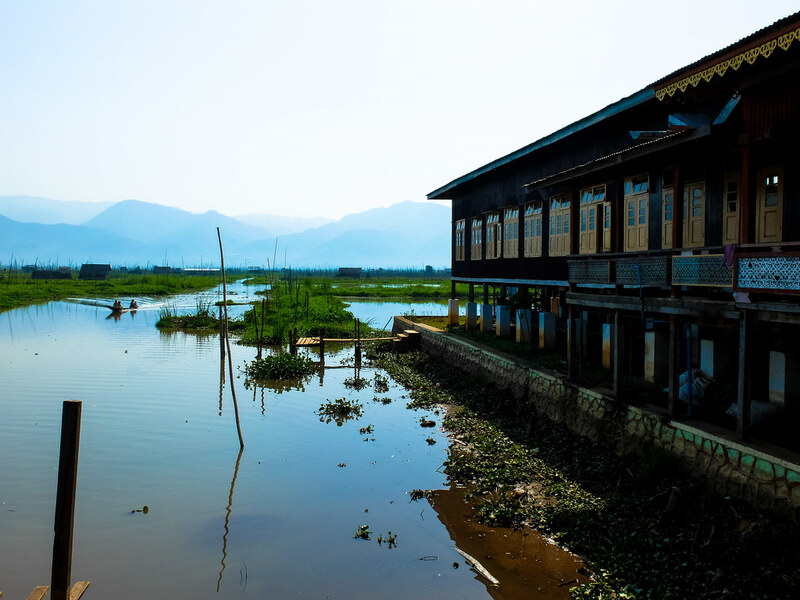 The presence of Paduang women at Inle Lake has been a subject of debate, as they are believed to be from a tribe in Kayah State and brought at Inle lake solely for tourism purpose. 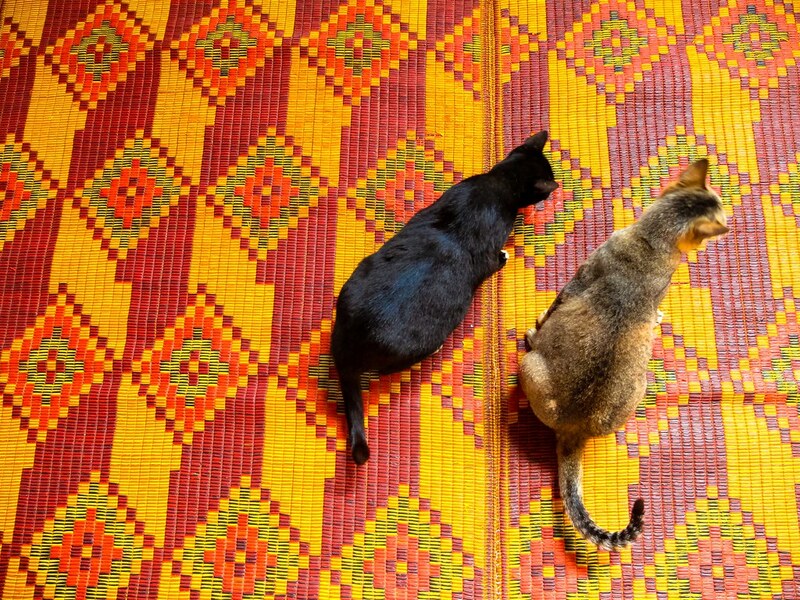 Unfortunately, there is no floating market during my trip, so most of my time was spent playing with cats at the Nga Phe Kyaung or the Jumping Cats Monastery. 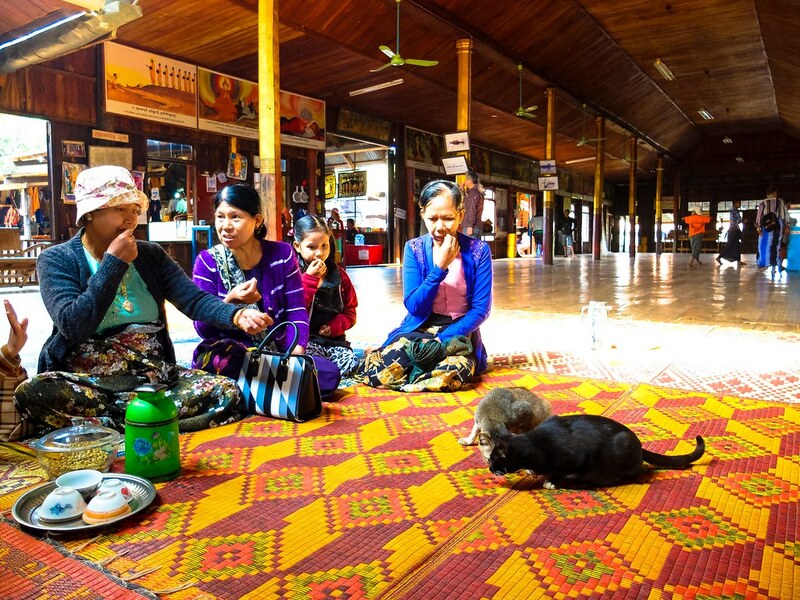 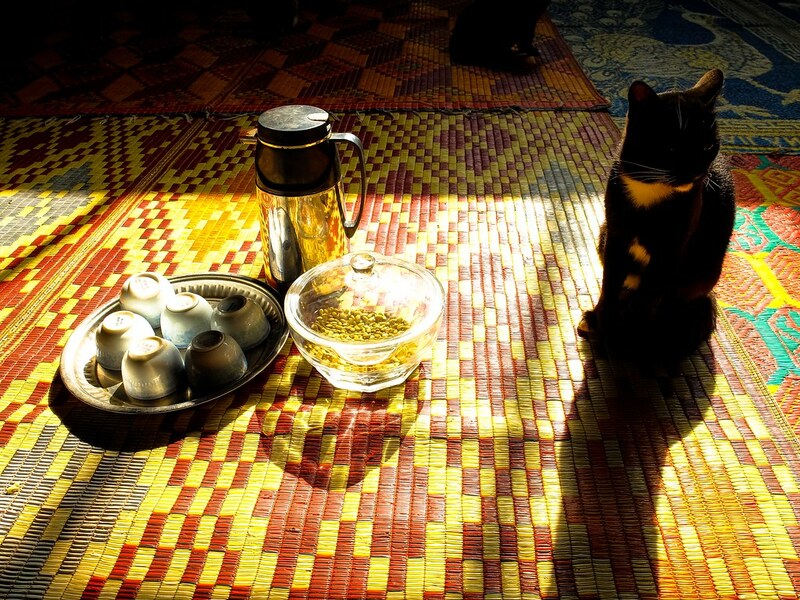 I did not see any cats jump, but I enjoyed playing with them together with Burmese visitors while sipping the free tea offered at the monastery. 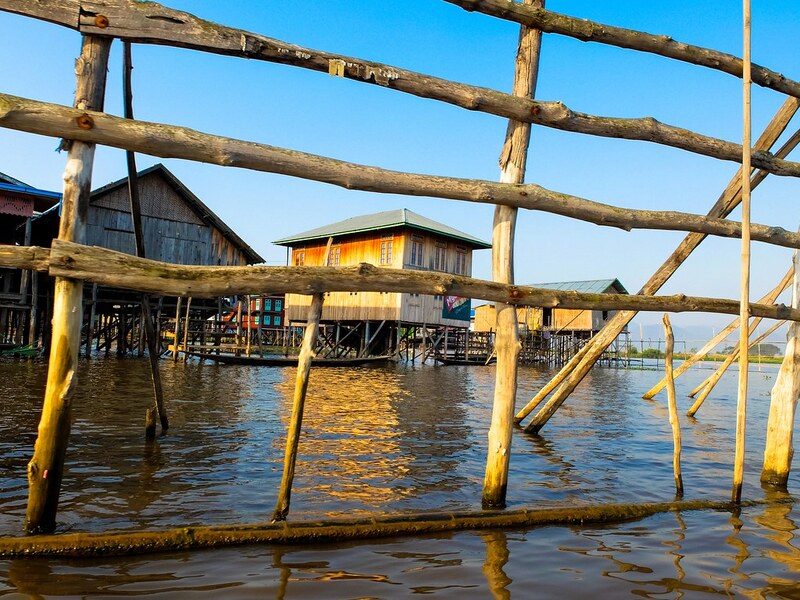 Overlooking the monastery is the Floating Garden, arguably one of the most picturesque views of the lake. 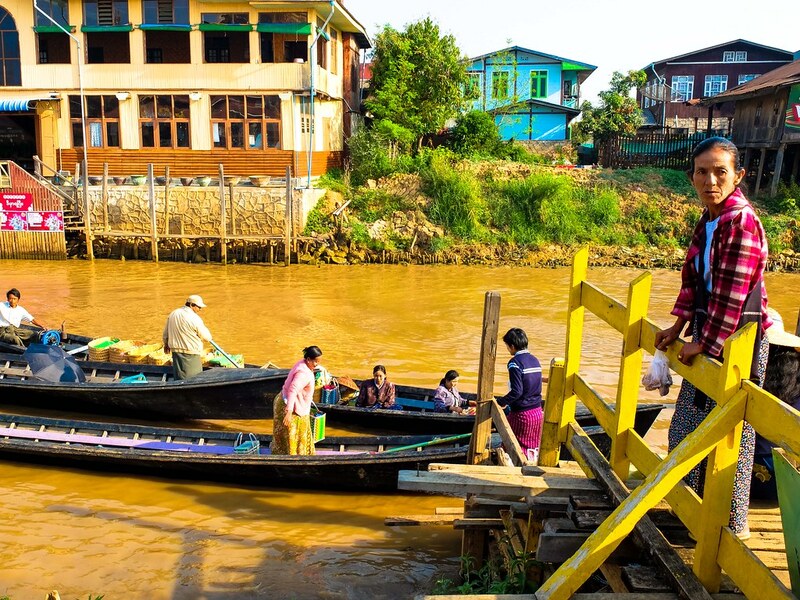 The garden bed is a result of extensive manual labor, now a great source of vegetables and fruits for the local community. 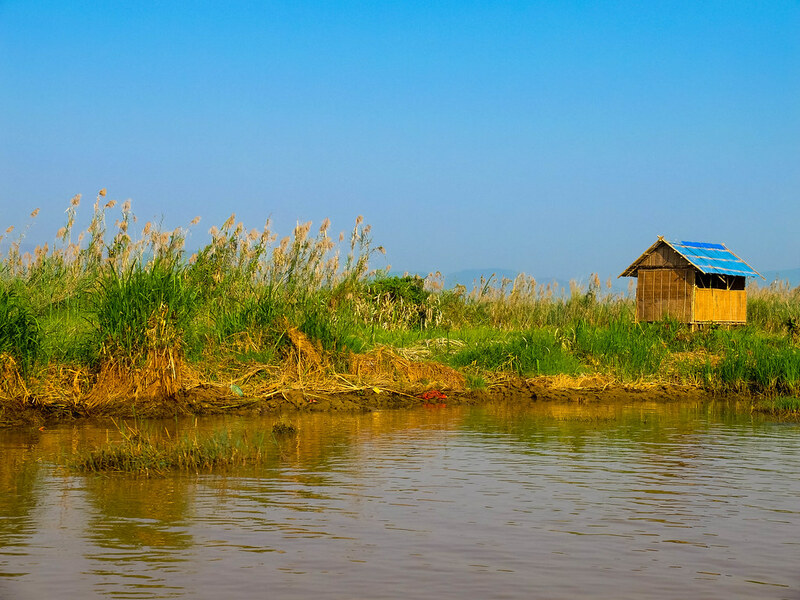 The monastery, the pagoda, the villages, the garden, all are great to see and to know that life and communities thrive around the lake. 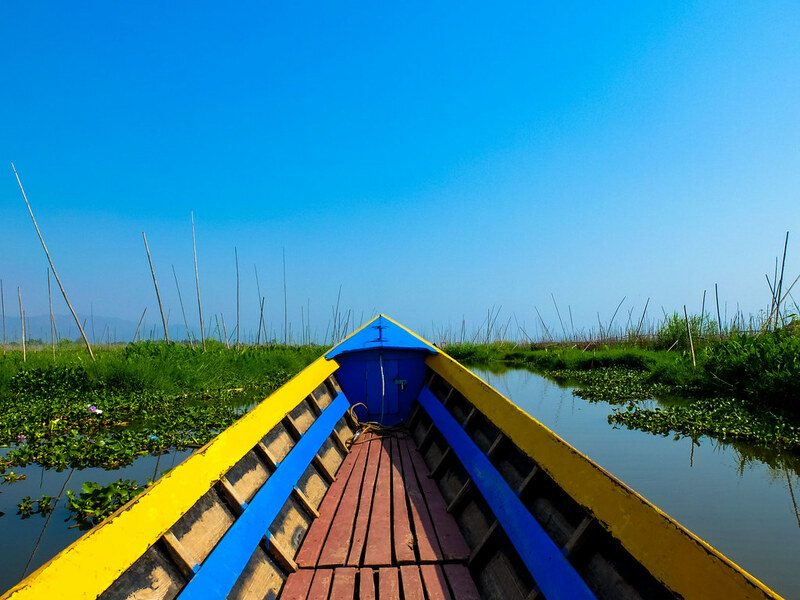 Though the greatest satisfaction always remains with the boat ride itself, passing by shallow canals, under makeshift bridges and finally out in the open, once again in the calmness of the lake. 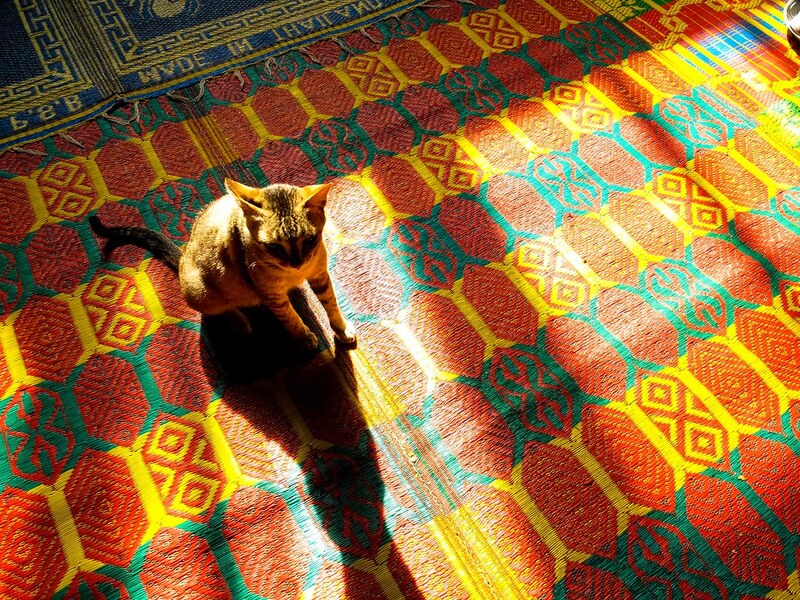 Very beautiful images there, loved the ones with the cats, because I am a cat lover.